Bluetooth CSR4.1 rev,It can work at 10-15 meter range . 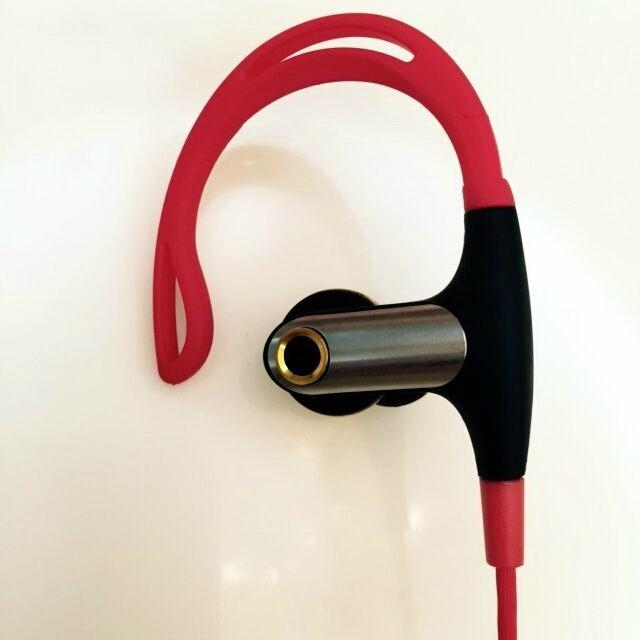 It is metal material outside of the speaker,You can print your Logo freely. 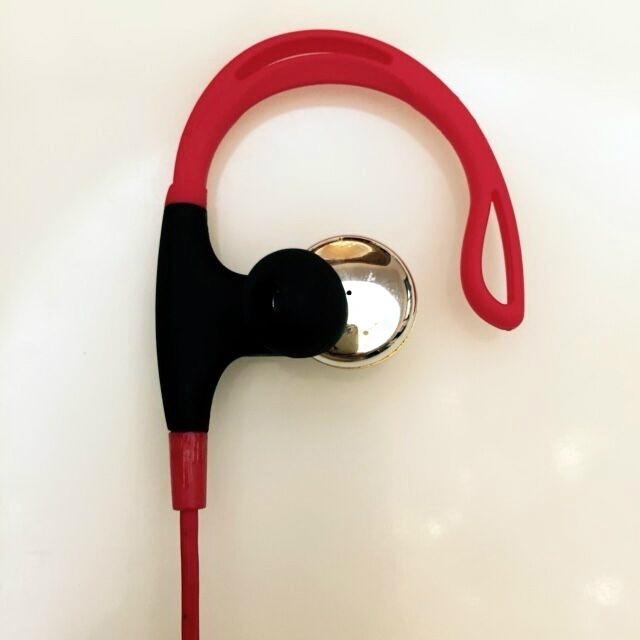 The material of ear-hook is rubber,The folding strength is very good,It is very comefortable to hook your ear.You can turn the hook to fill your ear.You can enjoy music or call when you play sports. Red or pink,You can sort. 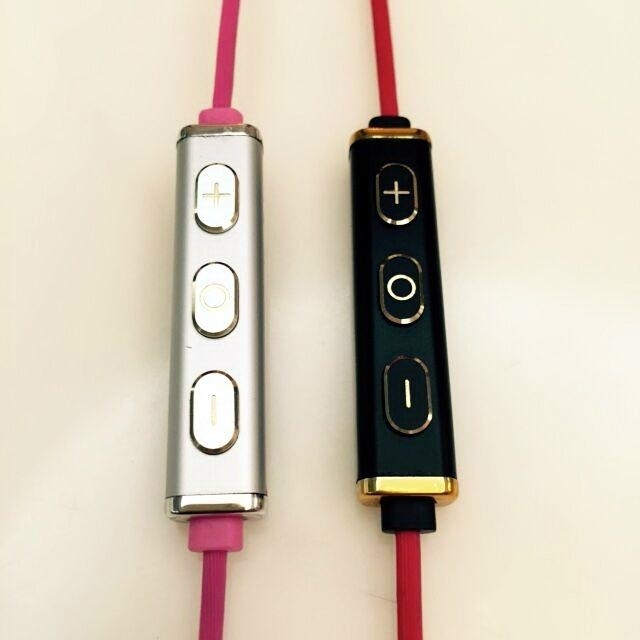 It has two batterys,So it can work 10 hours continuously and up to four weeks of standby time after you charge it.